The journey began with the announcement that while we could now board, our bags could not be loaded onto the small plane with us - collectively we were too heavy! In the chorus of complaints from my fellow passengers, I sat rather bemused for in my overweight bag was all the StepOut-StepFree materials and thus the purpose of the trip. I'm not sure how it was resolved but soon after we, and our baggage, were safely aloft over a blue sea heading towards the island of Taveuni. If that was the end of the misadventure then this would be a simple story but in picking up my overweight suitcase from the makeshift carousel I felt a tweak in my back and immediately thought, 'I'll pay for that later' and I did. 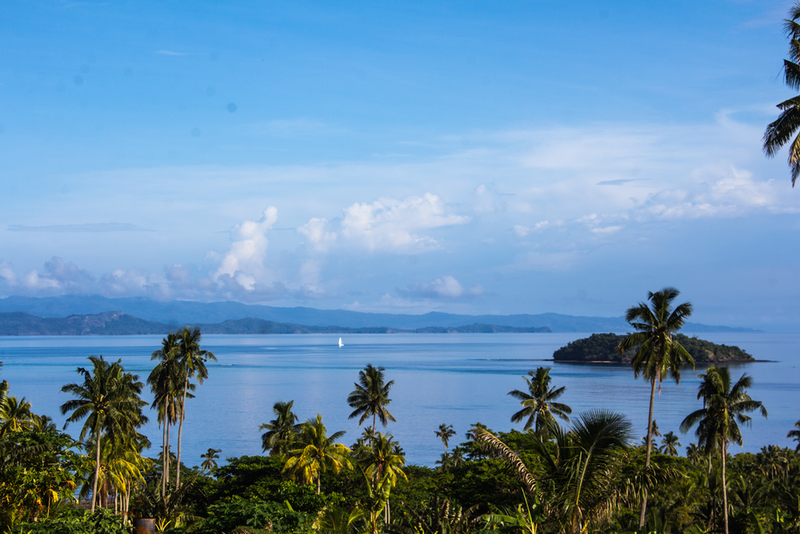 Taveuni-The Garden Island is Fiji's third largest island and known for its remarkable beauty. Unique for its lack of outlying reefs this large volcanic island mountain is home to 12,000 people that live in small villages around the coast with Somosomo village being the main centre. Its colonial history is one of large and profitable copra estates, but richer are the long histories of its people who developed their livelihood and traditions in the midst of some of the most beautiful and bountiful creation. Tevita Rainibogi has begun Operation Foundation's work in Taveuni Prison and lives in Somosomo village with his wife and two children. While I went ahead on Saturday to start the StepOut-StepFree class on Monday, the rest of the team were scheduled to arrive by ferry Sunday and Monday afternoon. Twelve men had been selected to be part of the StepOut-StepFree journey and on Monday, with increasing lower back pain, I met them all and we began. Taveuni Prison has incredible views (see photo above) and is a working farm producing amazing crops in the fertile soils. 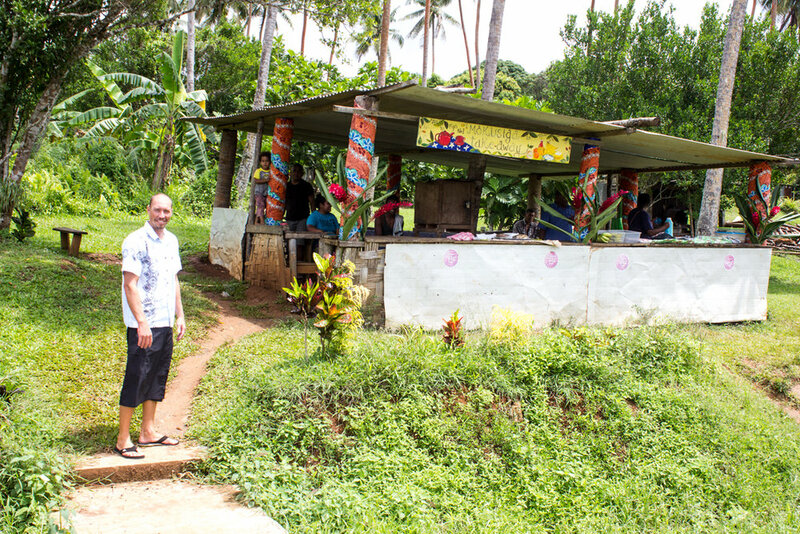 In delivering a program to restore the soul, the Taveuni environment really doesn't get any better with images and applications of God's handiwork all around. Bringing twelve men together and opening up deep and confronting issues always has risks, so it was a joy to see them begin to dialogue, engage and open up to what we were leading them towards. By Monday afternoon my lower back was screaming its defiance and so a hospital visit was in order where a cocktail of relief was administered to a sensitive part of my anatomy. A fog of numbness enveloped me as we walked down the hill to find a taxi. The next day was a blur for me but gain for the team as they undertook what they love to do - leading the men through a journey of restoration. The conversations among the men and team got richer and deeper, exposing the pain, guilt and suffering that exists in each offender's life. Shaping those conversations towards true forgiveness, restoration and hope is the goal of the team's effort. Leaving Eroni Tulele, Malakai Karavaki, and Tevita Rainibogi to continue with the class, Jeff McFarlane, Aisake Emmanuel and I departed Taveuni on Thursday morning by ferry for the nearby island of Vanua Levu - home to Savusavu and Labasa towns and Labasa Prison. The purpose of this part of the trip was to visit ex-inmates and families of the inmates we had worked with, from this class, and other classes over recent months. Over the next two days, we visited with eight families, listening, sharing and providing prayerful and practical encouragement. These visits are profound and humbling - rich in what it teaches us of the critical connection between inmates and their families. We will provide support to many of these families over the next months, assisting them to travel to keep the familial connection to their Sons, Husbands and Dads in prison. Arriving Friday in Labasa we completed visits and went to the Labasa Prison to provide a family update to Alipate, an inmate we have worked with who is shouldering the responsibility of his own family restoration. I'm proud of the work undertaken by Tevita in Taveuni, Aisake in Savusavu, and Gabrieli in Labasa, for Operation Foundation. Throughout this year they have worked diligently to both establish and progress restoration ministry in the northern prisons and the in the associated communities. Not to be done with misadventure, Jeff and I discovered Labasa town log-jammed with Saturday morning traffic as we attempted to get to the airport and our flight home to Suva. With the minutes counting down our taxi-driver Amlesh took on the persona of a rally driver on dirt backroads to eject us safely at Labasa airport, my back still intact and a few minutes to spare.